The trapeze hanger bracket (THB) provides a dedicated and effective means of installing Vantrunk cable tray using a trapeze support arrangement with two threaded rod hangers. The trapeze hanger bracket has 11mm holes to suit the use of M10 threaded rod hangers. 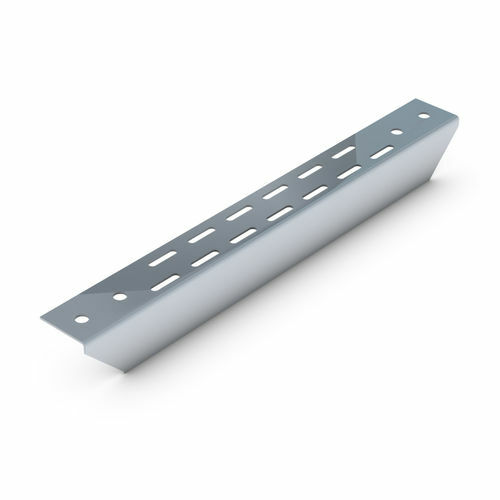 Each trapeze hanger bracket has fixing holes for use with the tray hold down bracket (HDB) and elongated holes for direct fixing through the bed of the cable tray. The loading table below gives the recommended maximum load for each size of trapeze hanger bracket when used with Vantrunk cable tray and with a uniformly distributed load (UDL)onto the trapeze hanger bracket.